Summary: According to researchers, a small preliminary study could show promise for a new treatment for those with primary progressive multiple sclerosis. The study involved six people with progressive MS with moderate to severe disability. People with progressive MS have a severe condition with slow, steady worsening of symptoms. NeuroscienceNews.com image is credited to Marvin 101. The study is a collaboration between the QIMR Berghofer Medical Research Institute, Royal Brisbane and Women’s Hospital and The University of Queensland in Brisbane, Australia. Funding: The study was supported by the MS Queensland, MS Research Australia, QIMR Berghofer Medical Research Institute and Perpetual Trustee Company Limited. Image Source: NeuroscienceNews.com image is credited to Marvin 101 and is licensed CC BY SA 3.0. Original Research: The study will be presented at the American Academy of Neurology’s 69th Annual Meeting in Boston, April 22 to 28, 2017. AAN “Preliminary Study Suggests Possible New Treatment for MS.” NeuroscienceNews. NeuroscienceNews, 21 April 2017. 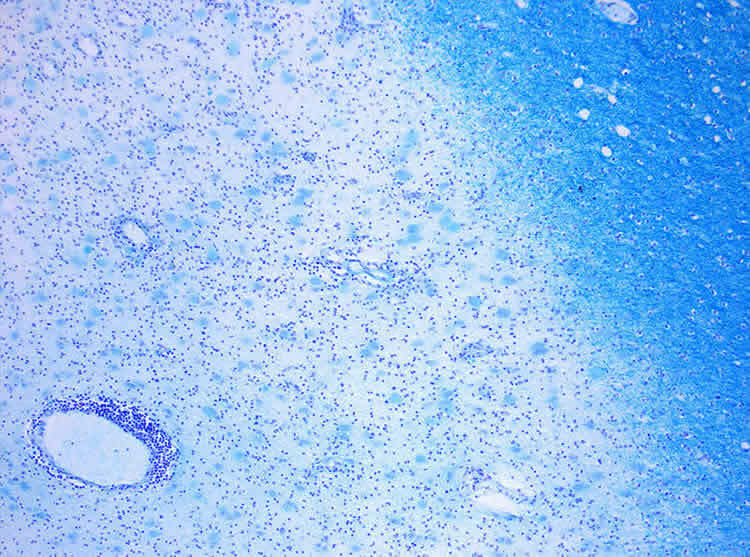 AAN “Preliminary Study Suggests Possible New Treatment for MS.” http://neurosciencenews.com/multiple-sclerosis-treatment-6469/ (accessed April 21, 2017).